The Group of Death this time around has Brazil, North Korea, Portugal, and Ivory Coast. For me this is hard because of my “Africa Theory” more than it is because of the skill of the teams in the Group. Group G has alot of potential for drama upon drama, but at the end of the day what we all really want to know is “Who will be able to get out of the group?” Well, let’s see. 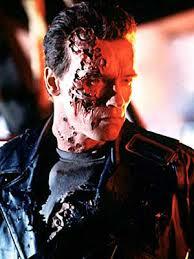 Brazil is “The Terminator” basically and I think everyone fully expects them to go 3-0. Moreover, they’ll probably be a TON of goals on everybody. I mean…do we expect anything less? Now that brings us to Portugal and Ivory Coast. The reason I’m saying that this Group isn’t so Deathly is because of this matchup right here. I know Ronaldo had a big comeback in the Champion’s League, but that’s with Real Madrid where there are more than one superstars on the team. Portugal is Ronaldo, Ronaldo and Ronaldo. I’ve said here a thousand times that he is not a team leader, but he’s a great player. Now he’s been hurt for a couple months? Yikes. I know the World Cup isn’t until the summer, but this doens’t look good. Unless he decides to be a completely different player between now and then the “Africa Theory” is going to crush Portugal’s hopes. I’m not betting against African countries…are you?